The Hasselblad Xpan is a viewfinder camera that uses 35 mm film. The exposed frame is 24mm high and 65 mm wide, width/height ratio is 2,7.
but I cannot really see why to use a panorama camera in a non panorama mode. is set on the lens and the camera calculates the exposure time. In manual mode a diode next to the viewfinder tells you when you got it right. The camera was constructed and manufactured by Fuji in Japan. sold as the Hasselblad Xpan. The standard 45 mm f:4 lens was usually sold together with the camera body. good depth of field when stopped down to f 11 or more. one exposure stop but as a reward you will get evenly exposed images. lens, covering an image frame corresponding to a 6 x 7 camera (horizontally). camera handheld. If the focus is set correctly, the image will appear very sharp! made with the 45 mm lens. gives depth in the image. disturbing on this lens. If stopping it down to f 8-11 the vignetting almost disappears. When installing the 90 mm lens on the body the frame in the viewfinder changes to a smaller frame. It makes framing and composition a little bit trickier. Xpan with 90 mm lens, handheld. Exposure: 1/250, f: 11. Strong contrast in the image. The 30 mm f:5,6 comes with an external viewfinder and a dedicated center filter. This lens is super-wide and covers an angle of 94 degrees horizontally. have found it to be a bit expensive. The camera is surprisingly compact considering the fact it is a panorama camera. In my hand the Xpan feels solid and a bit heavy. It definitely has a feel of quality. Camera controls are easy to use and understand. when shooting panoramas with this camera, a small tilt during exposure will ruin the picture! The viewfinder is bright with a white frame that is perfect for the 45 mm lens. use the camera on a tripod but a bit annoying when handheld. This is a flaw that was corrected on the second version of the camera, the Xpan II. center and was sold as an accessory by Kirk Enterprises. correctly exposed in the Auto (aperture priority) mode. However in low-light conditions with exposure times of 1 second or longer my camera starts to underexpose, both in Auto and Manual mode. and then calculate correct settings for my Xpan. Xpan with 45 mm lens on tripod. Exposure: 1 second, f: 8. Horizon is close to upper end of image. is great and the quality of the exposed panoramas is excellent. As a panorama photographer I have tried to use other methods to make panoramas. to set up a 6x17 camera. 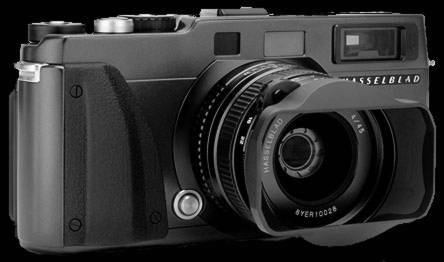 Because of this the Xpan will be my choice! and suitable software, this can be time-consuming. workflow in the process the Xpan is the winner! scanner for 35mm film, a Canoscan FS-4000 US. scanning panoramas from the Xpan. up a little bit since 2003 when I bought my used Xpan. Maybe the Xpan has become a collector’s camera. A nice 30 mm lens had a "BUY NOW"
prize at 5200 USD, which is more than the lens was sold for as new. Xpan with 90 mm lens, handheld. Exposure: 1/125, f: 5,6. A snapshot. I was climbing a peak when the reindeers showed up. They stopped for a few seconds when they discovered the photographer. In the beginning I found it difficult to make compositions with the Xpan. With what should I fill the long and narrow frame to make an interesting image? I feel more comfortable with panoramas than “normal” images. the rule of thirds when it feels right. comes to panoramic landscape photography. to see more of my panorama images, feel free to surf to www.lk-panorama.com . Xpan and 45 mm lens on tripod. Exposure: 2 seconds, f:5,6. Nice warm light ca. 5 minutes after sunset. in the form of the Disposal of Hazardous Waste Regulations.